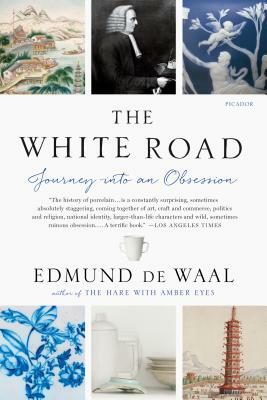 In The White Road, artist Edmund de Waal gives us an intimate portrait of his lifelong obsession with porcelain, or “white gold.” A potter who has been working with porcelain for more than forty years, de Waal describes how he set out on five journeys to places where porcelain was dreamed about, refined, collected, and coveted—and that would help him understand the clay’s mysterious allure. From his studio in London, he begins by travelling to three “white hills”—sites in China, Germany, and England that are key to porcelain’s creation. But his search eventually leads him around the globe and reveals more than a history of cups and figurines; rather, he is forced to confront some of the darkest moments of twentieth-century history. Part memoir, part history, part detective story, The White Road chronicles a global obsession with alchemy, art, wealth, craft, and purity. Edmund de Waal is one of the world’s leading ceramic artists, and his porcelain is held in many major international collections. His bestselling memoir, The Hare with Amber Eyes, was shortlisted for numerous prizes and won the Costa Biography Award and the RSL Ondaatje Prize.